Backup for G Suite provides automatic backup for your critical data. Immediate data recovery, GDPR compatibility, protection against user errors and malware. Google G Suite does not offer its own security, once deleted data only lasts in the recycle bin and version history for a limited time. This can create security risks. As a result of ransomware programs all the files you have stored on cloud servers can be subject to extortion. File sharing services make the problem ever greater. When there are technical problems in Google G Suite, you can log into the Nexetic portal and access your files instantly. Nearly 60 % of data loss in cloud services are due to user errors. The user may accidentally delete files or make unwanted changes to shared files, which may cause harm. Data is backed up and stored in the EU. You can quickly and reliably restore your data. Data destruction by malicious software is a common problem. 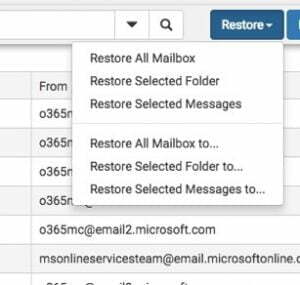 There may be a need to restore an old email for legal restores at any time. You do not have to install anything on to your computer. You can add security layers on all business users and all G Suite services with just one click. You will see all G Suite users in your company’s Shield G Suite management portal. 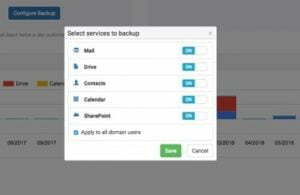 You can control the status of backups and add new users to the backup. You sign in with your G Suite username. Permissions are also read directly from G Suite. A backup is automatically made twice a day, which is why your information is always safe, regardless of time or place. Restore to your computer. Restore it to the cloud. You can restore data to your workstation or back to G Suite. You can also access previous versions of your files. Your deleted emails and files will also be backed up. Are you in need of more disk space? Additional disk space is required if the total disk space provided with user licenses is insufficient.